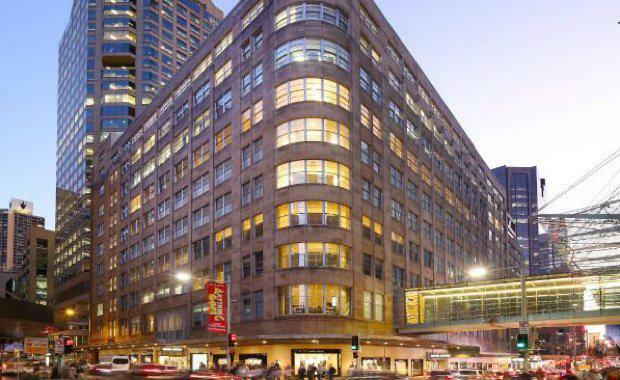 One of Sydney's most iconic retail buildings could fetch more than $300 million when it comes on to the market next month. South Africa's Woolworths Holdings has revealed it will seek offers for the David Jones store on Market Street in the heart of Sydney's retail precinct. The sale could bring to an end David Jones' century long association with the store. The 2150sq m site has long been coveted by developers for its position and untapped potential. An international marketing campaign will kick off next month by CBRE’s Scott Gray-Spencer, Josh Cullen and Rick Butler together with Savills’ Simon Fenn, Ian Hetherington and Ben Azar. Scentre chief executive Peter Allen told the Sydney Morning Herald the group would be interested in the asset. "Given we are owners of the adjoining, high performing, Westfield Sydney, we would be an interested party in any sale of the David Jones stores. We look at any opportunity to expand our footprint," Mr Allen said. Delivering interim results in Johannesburg last week, Woolworths Holdings chief executive Ian Moir tipped the property would garner a lot of interest from Chinese buyers. David Jones chief operating officer David Thomas said the sale would allow the company to focus on the redevelopment of its iconic Elizabeth Street store. "Our aim is transform the Elizabeth Street store into the southern hemisphere's leading department store," he said. "We believe that having a neighbour with such strong attributes in this vibrant precinct will serve as an added attraction to any potential purchaser and we look forward to progressing the sale process. "Completed in 1938 to mark David Jones’ 100th anniversary, the Market Street building is characterised by its sandstone heritage facade and signature corner curve, emphasising its inter-war, functionalist design.